"THE SOUND OF A TRAIN"
I headed for Florida after the New Year to get to started on the boatyard trip, take up where I left off with the steel boat dry-stored in a yard in central Florida and the Hurley moored on the east coast near Stuart. Though I made it down to the boats, a job for the family came up. I ended up flying back to DC, driving my sister's truck to Texas to deliver it to my brother, then flying back. Not a big deal, but a few weeks were used up by the time I was back at the boats. I drove down and played at a house concert venue in South Florida hosted by the Folk Club, a long drive, but I was also going to Miami to buy epoxies for the boat work, so I agreed to come. They actually had an outdoor stge, and a lot of people. But once again, the fact that I played the dulcimer and was not a name meant no one gave me a chance to play, not in the afternoon circles before the show, and on stage they sloted me almost last, late at night when most folks were gone. The few there were impressed, but it was depressing. Its an old story for me. I've never gone back, though, it is a fine balance, where I go back, and where I never return, when there are so many places and things pulling at me, so little time, and the effort it takes to put it all together in a annual circuit. Then I had to make a major change in plans as the place I had stored the steel boat wasn't good for working on it, but my friend in Stuart had told me about a local yard right by Stuart. 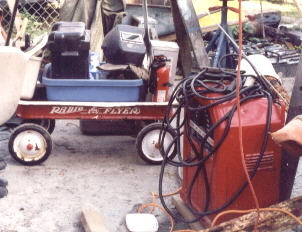 It looked like great luck, they had space and 220 power I could use for the welder. I did a temporary patch job on the keel at the storage yard in mid-state, then launched and motored the steelboat to the coast, then pulled the boat again at the new yard. Though it turned out to be a nightmare, unfortunately. 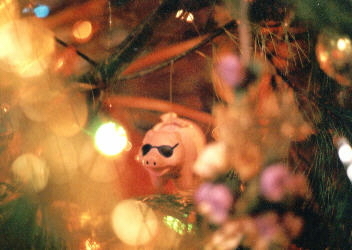 In fact, that seemed a common theme that spring, things that looked good, but ended up soured by some screwed up people. I endured and focused on the work I had to do, but all in all, it hurt me to be abused more by evil people like that. Also, I had a big, hard job to do, and didn't need extra burdens, distractions, and discouragements. Dogs snapping at my heels as I try to get somewhere. 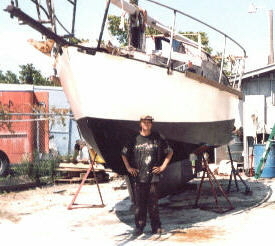 But the story...the "Boatyard Blues"
It was mid-March when I finally got started on the job. 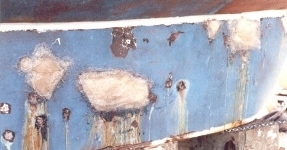 The keel, which was still passable when I replaced a lot of the hull during the original rebuild, was rusting from the inside out. What I did was clean and treat it, then seal the entire keel inside a new layer of steel. 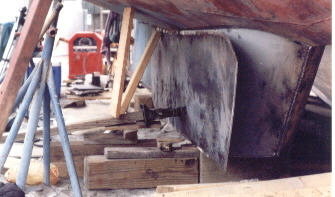 The original keel had lasted 25 years, so a second layer should last at least as long. Before I welded it up, I sandblasted and painted the old keel and the inside surface of the new steel with high quality epoxies, so it would even last longer. The next step was slowly bending the cut plates into place and welding them on. After the welding was done on the keel, I sandblasted and painted it. Many people have to bottom coat their boats regularly, and I've known steel boat owners who sandblasted and painted again and again. I had my boat in the water, saltwater, for ten years and it was still good when I took it out for this job, so I guess I did it right. First I put on a zinc-silicate primer right after sandblasting, section by section. Once the entire boat is ready, I cover the primer with coal-tar epoxy, the only actually waterproof epoxy, originally used on pilings and very tough stuff. Nothing sticks too it, so I had to build it up wet to regular white epoxy, and I put a binder coat of bottom paint on top of that. Finally I sanded and repainted the rest of the hull, white epoxy topsides and bottom paint from the waterline down, coating the keel again as well. I used red for my binding coat, and black bottom paint generally, so I can tell when the bottom paint is thinning as the red starts to show. 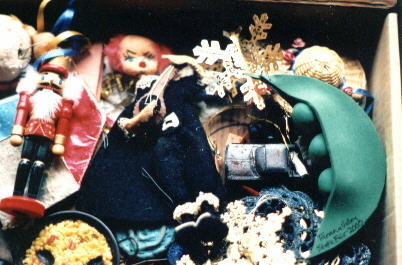 I always collected every scrap of leftover bottom paint from other people, as well as left over fiberglass or anything usefull. I was done on my scheduled date, but the boatyard had me blocked in by a boat that wasn't getting done in time. 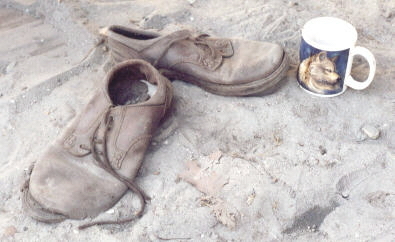 It is a common story in the yard. People often don't realize just how much work it is. I've spent a lot of time in boatyards, and always tooktthe time to walk around and learn from what others are doing, give advice if I can help, even lend a hand if it isn't too much. It is like a village, the boatyard. Not so much anymore, with no one staying with their boat and fewer people working on their own boats, few yards that will let you. Boating has changed from a world of people who did it themselves and got by on little money and a lot of make do, and old skills that often didn't cost so much except in labor. But I had done it before and had done pretty well on my estimates, even with the delays. I'd chosen steel partly because it is the cheapest material to work with, so I hadn't even spent that much money. So I got an extra week free of charge in the yard, and I kept working, of course. 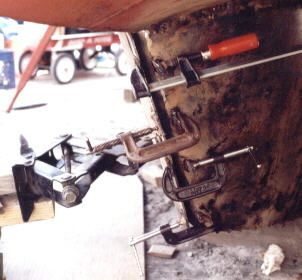 I started replacing the mangled shiprails, replacing the bent and broken remains of the ones I installed during the initial rebuild of the boat. Once I was on the seawall, I got a free day there, so I was still working. I treated the decks and cabintop with corroseal(tm) rust-converter, then painted them with white rustoleum enamel paint, just to cover them till I could work on them later. The idea was always to do only what I had to in the yard, then get back in the water and continue working there, in future seasons. The boat isn't something I can do all at once, but something I keep working on slowly, bit by bit, as I work at the music and live on the water. 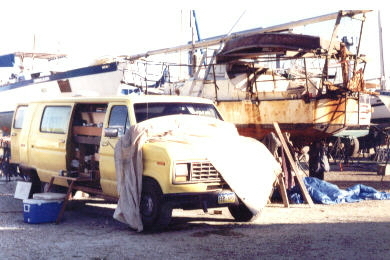 One reason I had another boat that I could sail in, or even live on if the work I was doing on Dueodde was something I didn't want to live around, like drying paint, or had to strip the boat out for, like welding. 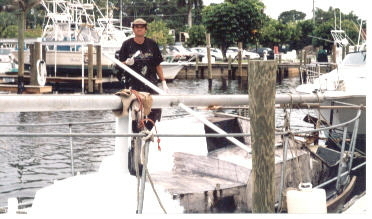 Instead of spending more money on boatyard bills, I planned to invest the money in a portable welder and work on the boat on the water, on my own schedule, and still have the welder in the end. The boatyard was just for this one job. 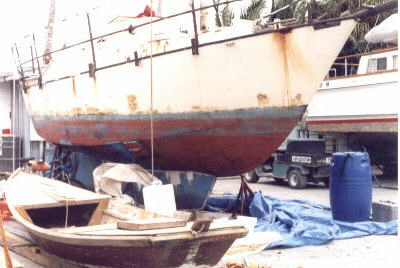 For three months I was in the boatyard working to my limit, which is saying a lot. In fact, I was probably redlining more than is good for me. More significant though, was that it was an unnecessarily bad situation, doing me no good. I need to avoid stress, and normally, I actually enjoy working on boats. This was the boatyard from hell. First they had some loser punk working there who kept harrassing me. It stopped being tolerable when I got ripped off for $200 by one of the guys who worked there, while I was laid out with the flu. The next time one of them tried to give me some lip, I made them regret it. Then had it out with the segundo, to the unnegotiable point that I didn't want to be bothered or even talk to anyone there except him or the boss, period. I did the whole big, hard job in a state of siege and atmosphere of hostility. It was the boatyard from hell, to tell the truth, though I remained amazingly steadfast and resolute, and civil, while I worked hard and did good work. 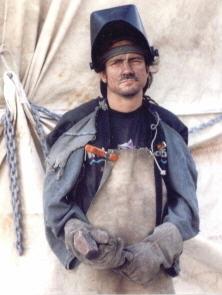 When I was delayed (I also was in a spot that flooded regularly trying to do a job the required me to lay on the ground and weld, and had my new compressor break down twice the first week I used it) I did more welding on the topsides, and other work I could have postponed, like a deck on the roof of the van. I presevered. Though I wasn't performing much, the music was part of my days and nights, singing "Take This Hammer" as I worked, or other songs, so many songs. I even took video of me hammering in time to the song, to use for a video of it. Evenings I would sit under the boat and play guitar, or write in my journals, while my dinner cooked, the hull of the boat for my shelter. There was no one in this yard usually, so it was most often a quiet place. I wrote a couple new songs, "Counter Culture" and "Sound of a Train". More interesting, I recorded initial versions of both of them with the studio set up inside the van, parked at the boatyard. I videoed myself doing it, too. 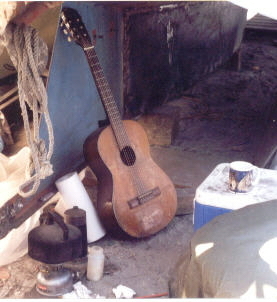 The hardest part was trying to play the guitar in the cramped space inside. Every night I listened to the trains as the passed by just a block away, the crossing warnings clanging, the roaring rumble, clank, squeal, and hum of train and tracks, the horns blasting and echoing through the night. Finally I was done. I got Dueodde in the water, motored it over to where I'd anchored the Hurley, off Pendarvis Park, and set my hurricane anchors. I had to get on to other things, in the nature of my life, but I had made a serious step forward. The next step was to move the boats to a place where I could work on them on the water, while primarily working at the music again. I hadn't decided where yet, east coast or west, but had looked pretty carefully and come up with several potential places. Essentially, I could stay near where I was if I could find a better anchorage near to someplace to work. I could go to the west coast end of the canal and stay in Charlotte Harbor and work the potentials in the tourist zone all around it. I could move north to be nearer my Dad in Gainesville, either on the east coast at St Augustine or at Green Cove Springs on the St John River, or on the west coast at Cedar Key. Green Coves Springs has a wide reputation as a good place to work on your boat. Finally, I could go to Key Largo, where Rob had worked for a while, and he showed me a good anchorage where I could potentially work both locally and in the greater Miami area just north. But those decisions were for the future, now I was was still working full bore to get everything secured, packed up, and head north. One mistake I made was getting sucked into setting up my studio for a while at a local "music academy" with promises of a place to work, and musicians to work with, and potential high-end gigs, but it turned out to be smoke and mirrors, or just dreams. I've been through it before, so I didn't have any expectations, wasn't dissapointed. I was just frustrated bythe distractions and I hate wasting time. I never got anything done of my own, and felt like I just got taken advantage of. I won't go into the details, but there was one major effect event, though. The promoter convinced me to refinish the dulcimer to get the high-end gigs (which never materialized). 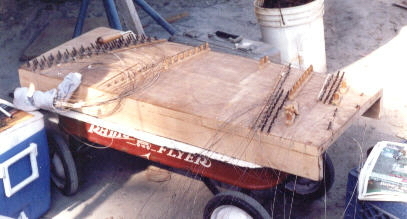 I dismantled the dulcimer for the sanding and finishing I'd never given it, I figured this was a good time to do it, since I hadn't planned on performing while I was in the boatyard. I'd always planned to build another one and make it "pretty", but that hadn't happened. So I went ahead and finished the one I have. I also added supports at eash end, which it needed, completing the structural support. It had started to warp inot an arch, which was good, as long as I didn't let it go too far! Though I worked like crazy to get out of Florida by the end of June, and did, I still missed playing the July 4th weekend, a major loss, because the dulcimer is still in pieces for a refinishing that I couldn't complete in time. Still, I did do it, and finished it as soon as I got back to Virginia. A couple weeks in Virginia, then I was off for Alaska. It starts to seem ridiculous as I tell it quick, like some strange comedy where I persevere, moving mountains in a whirlwind while beset by fools and knaves. 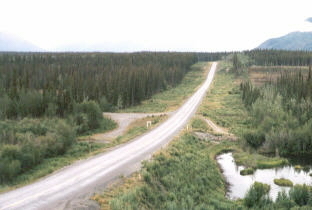 A nutcase greenhorn canadian immigrations agent (example: they didn't understand why I had to go through Canada to get to Alaska) held me up a day and half at the border. They were sure I planned to work in Canada, even though I could show them I was shceduled to play at the Alaska State Fair in a week. I ended up hardly being able to sleep driving through Canada! The delay used up my scheduled sleep breaks and turned a basic road-trip into an almost non-stop drive on less than easy roads to get to the state fair on time. I did it, I always do, it seems, but it is nothing I'm particularly proud of... over the line riskiness. But I was pissed, and had a show to do, and I keep my word. I did. But it was well past being funny at that point. In fact, it had stopped being funny about a week into the boatyard trip. Alaska. Beautiful Alaska. So glad to be there, amid cooler people and wildlands. I played two fairs, The State Fair in Fairbanks and Deltana in Delta Junction. A bigger accomplishment was I kept following through on my resolutions and bought my first piece of property, 5 acres adjoining my friend's property in Delta Junction, with a small wildlife reserve on the other side. I found out about it while researching the ownership of the property around my friends as part of the job of getting them moved in. When I went down to the state land office for the survey plat they asked if I wanted to buy the adjoining land. It seems that many of the old homesteads in their subdivision had not been proved up on in the old days, and the state had finally gotten around to liquidating all these properties, "over the counter". What settled the deal was that the state would finance. As a musician, it would have been almst impossible for me to get a mortage from a bank, without a set and guaranteed income. I make enough, always have, but can't say where it is coming from next, really. Banks don;t like that. The state didn't care, just 10% down and sign on the line, since they weren't loaning money, and they still had the land till it was paid for. Though I had been originally looking at Montana, nothing real had appeared there. Alaska suddenly seemed the best chance I had to get started. The land itself was also a great deal, because though there is land in Alaska, it seldom has good access and even more seldom has power. It has both, and friends to keep an eye on anything I leave. Though I actually will probably have to spend less time in Alaska to be able to pay for it, funny enough. It is a long term plan. Alaska is one of the places I hope to stay long enough to make a base worthwhile, even if it is just a place to store stuff, leave a road rig, and even build a cabin. Alaska is a place where I'd still have to travelling around to play or head into the bush, but I'd be in one state, a smaller circle. I had done the same all over the western United states. 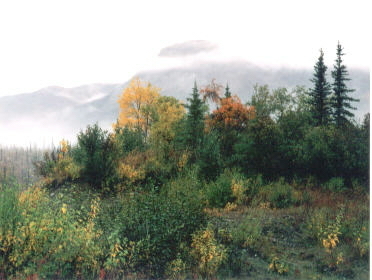 But this is a base, and I can even imagine it as just one of several around Alaska. Permanent bases are still part of my long term plans, and while I have set them in motion by beginning to buy and pay for land, I don't want to be distracted by putting too much energy into building for the moment, when I am really building for the future. There are other things that I want to focus on in the short term, like recording and gear, and travelling the world. But it settles my practical desire to be thinking ahead, no matter where I end up. I made it to the Brooks Range again, though not for as long as I'd have liked.. got snowed out after 8 days this year, but that is life up north of the arctic circle. There is only a small window of opportunity in the place we are digging, one reason it is still there. 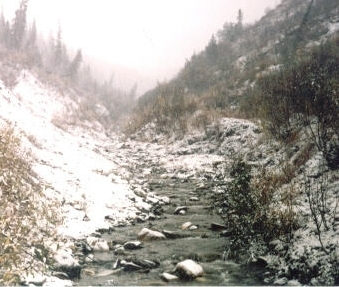 By the time the ground can thaw to bedrock, summer is gone and it could snow any time. Maybe just a short storm followed by a couple weeks more before it clamps down and freezes hard, maybe a serious storm that won't melt till the next spring, like this year. This year we get a week, good enough. But I made it, actually getting the van up the into the mountains, though I had a time getting out! Got enough gold to make expenses, and one nugget to show around, which is good enough. We moved a lot of dirt and lived in the wild mountains I love, even if it wasn't long enough. But it was everything I wanted to do this year. The main point was proving Dave and I could drive up from the new homestead in Delta Junction back to our old stomping grounds in the Brooks Range. 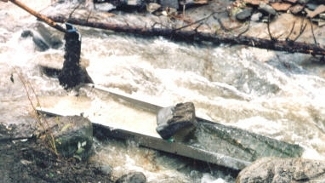 He was living up in the Brooks Range when we met, and when he made the move to the Delta Junction homestead he had hated leaving. But I had promised him that once he got established there, we could drive up to the mountains together and keep working the gold digs, and still break even, pay expenses, while having a chance at striking better. 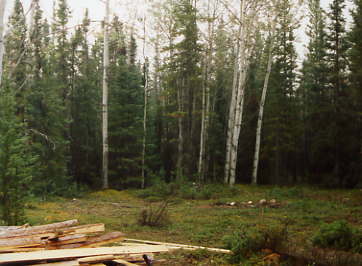 For him it was proving that gaining the homestead in Delta Junction didn't mean having to give up the Brooks Range. For me it was that, and knowing that if I'd had time, I could have been recording there out of the van, my long held dream. 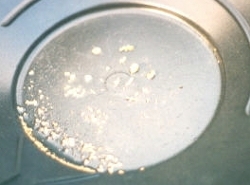 The point is still that it worked, we were able to go up and seriously dig gold. I'd prospected plenty, and dug crystals and gemstones, but now I was trying to make it pay, so I can go there regularly, and stay longer where I want to go, since it is more in time and energy than I could otherwise justify just for a break from the music. I could go anywhere for just a break, but this is the area I was drawn to when I first came to Alaska, and though it is farther away and harder to get to, being able to dig some gold and pay the expenses and maybe more, elevates it above other, closer places I could go. The same applies to Alaska itself, where I planned to go back to gold prospecting in Alaska, somethng I had given up down south to get aw2ay from the craziness and greed-people around the southern gold fields. Crystals and gemstones gave me the peace and quiet I really sought, while having a focus for my energy so I could relax by doing, and have more to do than just climb a mountain, I had reason to explore, and something to do for a while, though in the larger picture I was trying to take a break from the music, and the cities and towns, and dwell in the wildlands. On the flip side, the starter went out on the van, very luckily when I was parked off the side of my friend's driveway, can't ask for more than that! But it meant I wasn't able to go places for a couple weeks, which is very significant when you only have a month to do anything. Since I couldn't do much e-mail work (which required a trip to town), I tried to work with the district supervisor level to arrange my annual round of volunteer shows in the schools. Big mistake, I should have known Anchorage area was too much like the lower 48 for that to work. So between the van breakdown and having no schoolshows except in Fairbanks and Delta, I had to give up my usual loop down to the coast to volunteer in the schools and senior centers, visit friends, do shows at some coffeehouses, etc. A big dissappointment, to make it all the way to Alaska, and not make well, yeah, another 1000 mile loop, and end up missing friends and places I came a long way to see. Like I said, an abbreviated year. For all the things I did, and the distance travelled, and places I did go, it felt like I really missed a lot this year. I left Alaska behind one storm and ahead of another. After one of the worst drives yet crossing the Canadian Rockies, pushing through deep snow trying to get out from under the storm, out of the mountain passes, and into the relatively dry plains ahead. I raced ahead of the storm to Calgary, where I stopped to visit The Real Waldo of NoWhere Radio while the tail end of the storm blew by me. When the sun came out, I was on the road and through the Crow's Nest Pass once again. I returned to Montana on schedule and as planned, to set up the studio and work with Joe on guitar tracks and generally jam. The situation wasn't good, though. Times were tough in Joe's life, and I was totally burnt out and seriously out of practice. This year stands as one of the ones I have played the least in, a sad conclusion. But we got some stuff done, and jammed a few new tunes. Its funny, on one hand we were cutting leads to replace leads from last year that were too electric osunding for the acoustic sound of the CD, while in jamming we were getting more psychedelic electric sounds. You've got to ride the waves as they come, since you can't catch the great ones if you aren't out there. On the good side, a lot of things resolved for the better for Joe while I happened to be there. It also looks like this coming year I might be able to close on either a small 1/3 acre adjoining Joe's or another 5 acre lot nearby; securing a footprint in Montana as well. Like Alaska, Missoula is not a place I can really stay full time and play music, but it's a place I return to so much I might as well have a cabin there. In the future, I hope to be productive by recording and building dulcimers, using the internet, producing video, etc, even in places far from the urban centers where there's not much opportunity to perform. Then I can have a productive circuit that includes more time in the or near the wildlands. So I am fulfilling my decision to secure cabinsites (or a boat!) in the places that are consistently part of my travels, of my life. Even if I never stay year-round in one or any of them, I'll be able to do more, and be more comfortable when I do stop. Even if I never settle down, or if I do, these are the places I'd like to be, in case I have to be somewhere, someday. At least I can feel like I've been planning for the future, and let it go at that. I didn't make it to Seattle and the West coast though, again. It was a disappointment, like Alaska, so close but not close enough. Frankly, I could not afford the gas money. I ended up $1100 in the hole when I did my accounts this year, an exceptionally bad year. Not bad considering all the expenses at the boatyard, but more, just not working all Winter and Spring because I was busy working the boat and the music school fiasco. 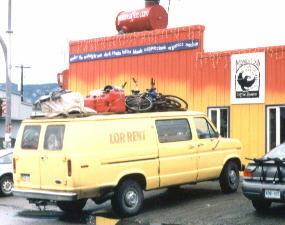 Driving to Alaska is not cost effective either, but that, like the boatyard, is temporary, till I can leave the van up there and fly back and forth. I manage to do it all on the cheap, but there are limits, so I raided my saving, or it would have been worse. So no, it wasn't a good year economically, though I am hoping that I've finally turned the corner, once I can get the first CD out. There was no way to justify a trip to Seattle, too late in the year for fests or even the street. So it goes. I sometimes wonder if I am just not up to the travelling I used to do. More realistically, the fact is that maybe I can only do so much. Taking on the promise to record and produce CDs, setting up the studio to do it, starting to producing electric dulcimers, and trying to "do more" with my music.. well, something has to give in balancing the limits of time and energy. Or maybe once I'm past all the up-front expenses of vehicles and boats and equipment and CD production, and focus on playing enough, I'll be able to manage the travelling and come out well ahead, just like I used to. 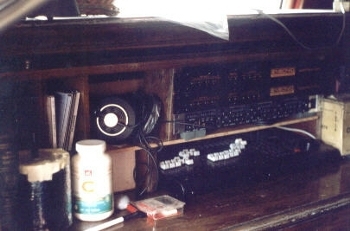 Another major issue is that, though I had the gear set up in the van and set up in various places along the way, the fact is I did not get the new CD done in the year between visits to Joe's. Sure, it was a bad year for getting anything done with a huge project like the boatyard trip involved, but I still have to face the facts. I believe in giving things a chance if possible, real world time, and using hindsight. Though I also have to remember that this year was not "business as usual" and really not an adequate measure for the success of any pattern. Even hindsight is not always clear and simple. Still, that's the reasoning behind a major conclusion, to spend more time in fewer places and focus my energy on the things I need to get done, and when I travel, to stop driving so much and fly instead. Maybe just till I get caught up, maybe as a permanent change. Quite frankly, the drive down from Alaska, so late in the season, is just stressfull and seriously dangerous. Even with my ability to pull off some pretty hairy stunts when pressed, its just not worth the risk. The consequences are too dire, stress is something I need to avoid, and the chances that probabilities will catch up to me sooner or later are too great. After the drives I made this time, both up and down, it borders on ridiculous to keep doing it if I can chose any other way. Not to mention, I am just driving so hard with no time to stop that it hardly seems to make sense anymore. I used to have time to stop and enjoy places along the way. Though I made it, following my routine circuit again Florida to Alaska, from the boats to DC to the Alaska state fair to the mountains north of the Arctic Circle to recording "somewhere in Montana", playing schoolshows along the way, and getting back to DC in time for xmass. Basically, I need to do whatever it takes to focus on the music again, and get some recording completed and produced, which probably means settling down (relatively) till I've gotten the major projects either completed or rolling. Then I can see what else I can do with whatever time is left. Probably the only practical place is at the family home in Virginia/DC area. I still have responsibilities there to see to, and the house needs work, and I am still a serious help for my sister and ma. Its easy to fly out for short trips to go wherever else I need to go, like Alaska, and for much less money, time, energy, and wear & tear, than driving. Though I'm buying land other places for the long run, it will be years before there is anyplace to live and work there, and frankly, there probably isn't enough work either in Alaska or Montana musically speaking. I miss the desert Southwest and the breadth of travelling I used to do, so I won't give it up forever by any means. In fact, I want to travel more, but only in the context of performing and teaching, of service. In DC, I have a place I can set up the studio and work immediately, with phone and internet, and a long street season in a fairly good street scene, though it really isn't that great a town musically, compared to some. Since a primary focus is on world touring and teaching, though, DC is also an obvious place to make personal contact with official and private international and national connections. Though many years ago I came to the conclusion that if it wasn't for family, I would personally stay out west (except if someone asked me to do a show) and head for someplace other than Florida for the winter. Though there isn't much of a obvious folk music scene here, given time, I may be able to work into the private party scene that is the probably the best potential for me. In DC, if you don't play in a barband, there's not much other than "national act" venues like the Kennedy Center and the Birchmere, not for an area this big, except the street. I am also much more likely to get to Seattle, and make money from the trip to Alaska, by flying instead of driving. I need to get into flight-ready mode for international touring anyway, instead of rooted hard in a vehicle, or any one place. Yet all I can do is focus single-mindedly on the music and do what seems best to serve that purpose. So! Right now I am still at the family place well into February finishing the first CD. I know I am not studio engineer, even if I have some of the best gear to do it with. But I can't wait to learn, and good enough is good enough. What I am producing is way better than the CDS I have, and I'll only get the experience I need by doing it. So here we go. My philosophy is also contrary to the status quo (what a suprise), in that I don't need or intend to achieve some "definitive" recording of a song. That is one more industry-driven fallacy. I intend to keep making recordings of the same songs that I like to do, just like the Dead, recording many different versions as time goes by and the music evolves. That is reality, and a better portrayal of both the songs and my music. Otherwise, I play the piano each morning and work on the house, ma's computer, babysitting, and I did another schoolshow. The van made it all the way here and broke down in the driveway, for which I am sooo thankful. 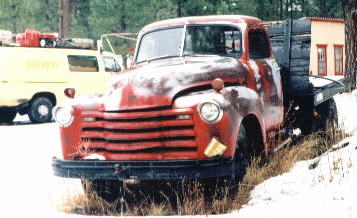 Old rigs break down, it is the nature of the life. It is great to have a rig that makes it and loses it when I am where I need to be, with time and a good place to make repairs. So I'm working on that. I've take down the tree and cleaned up after xmass, get ready to head south. I am trying to catch up on correspondence and internet work. It is 2 am and I have to sleep. So...Not a good year. It was hard, disappointing, severe, and I lost money, something I am not used to doing or comfortable with no matter the justifications. But it was not terrible at all, just hard, and that is fine with me, compared to some years I've lived through. There is a big difference and a hard year is just a hard year, and doesn't bother me that much at all. It's all a matter of perspective. It's just like the fact that after a few good near-death experiences, you tend to lighten up on the small stuff. I still did a lot, though I missed a lot of small though important things, and feel that loss. The small things add a lot more to the quality of life and experience than any direct significance to any specific accomplishment. Just like having time to stop and take a hike in some beautiful random place along the road are the best parts of a long road trip though they have nothing to do with the purpose of the trip, and in the end, those little stops may contain some of the best experiences of the year. Still, I pulled off most of the major annual milestones and I made some major progress on some projects like bases, both land and the boats, my southern base. I made major progress on recording, even if I didn't finish last year, I am almost done with that first one now. Producing the first CD is so much effort and a learning process that I won't have to repeat for any of the rest to follow. I wrote a couple new songs. I made it around the circuit but felt like I missed more people and places than I got to. And now I'm off to do it again!